My family is not generally a fan of cold soups, but there are two that I can manage to convince them to eat in the summer. One is the chilled borscht that Cal and I make nearly every summer. 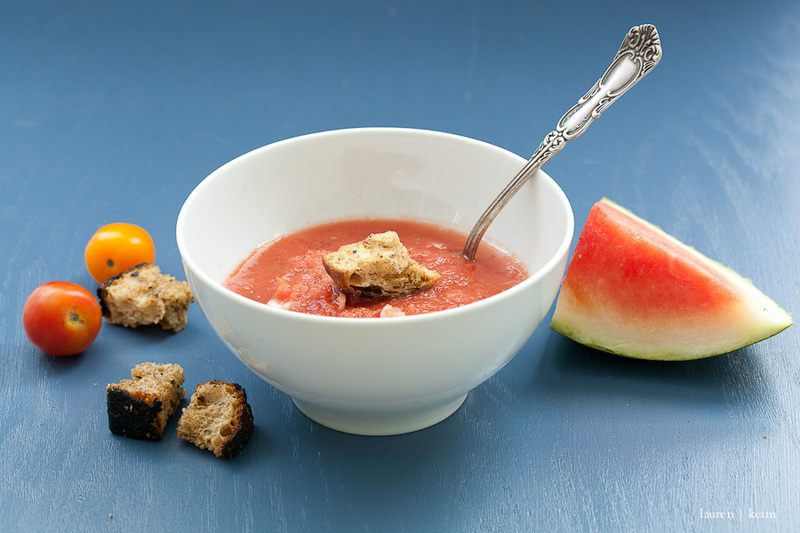 The other is gazpacho. 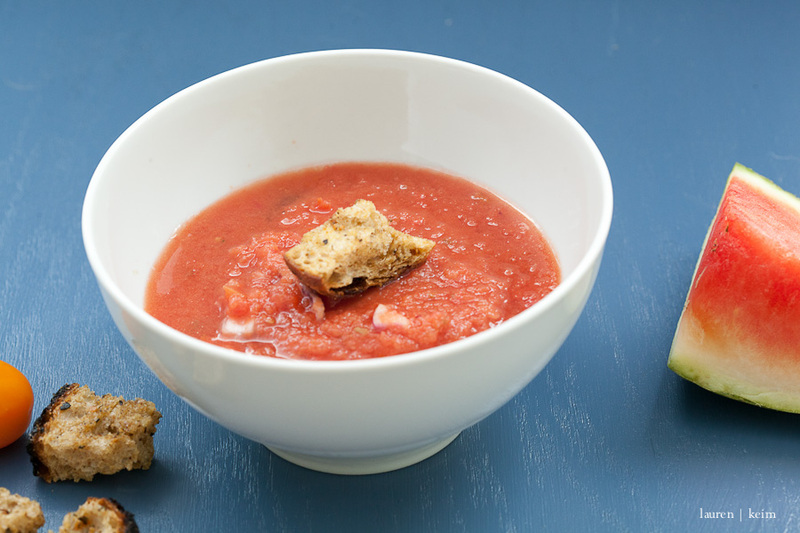 Gazpacho is pretty much a kitchen sink kind of soup; if you've got it in the house, throw it in there. I've had several variations over the years, most notably one with garlicy bread crumbs, but when a new recipe from Joy Foodly popped up in my Instagram, I knew I had to try it. If you're have kids and you're not familiar with Joy Foodly, I really suggest you check them out. It's a great resource for cooking, foods and kids. Their goal is to get kids to get interested in and inspired by food...and to really love food. They have tutorials and recipes and a great approach to making food fun and accessible. I'm totally making Callum make dinner for us next week! 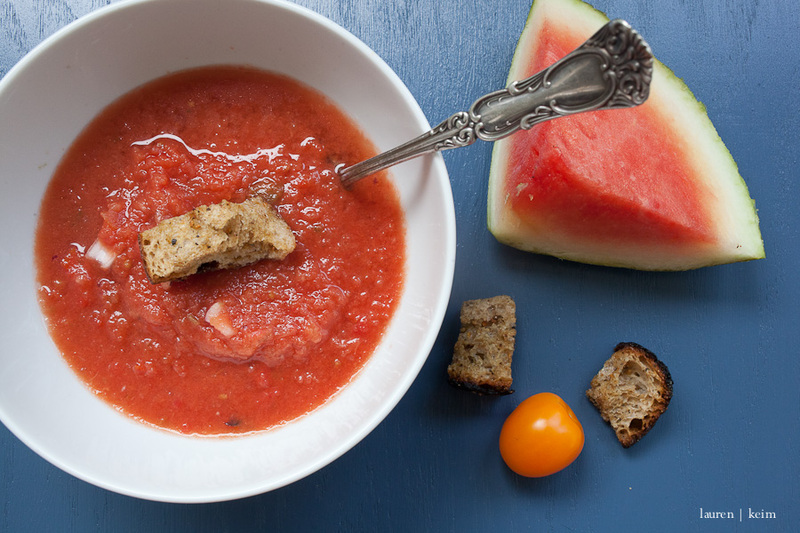 Our gazpacho was inspired by theirs. Add just over half of the vegetables to a blender and combine (you may have to do this in a couple of batches so you don't end up with gazpatcho-ceiling). We like chunky soups, so we don't blend all of the veggies, but if you prefer your soup to be smoother, then definitely mix everything. Add the oil, vinegar, salt and pepper to the soup and chill, at least 30 minutes, before serving. We've had it several times now, topped with several things including avocado crema (basically avocado, sour cream, lime juice and salt), grilled shrimp, or as you see here, with my friend Jackie's delicious croutons.